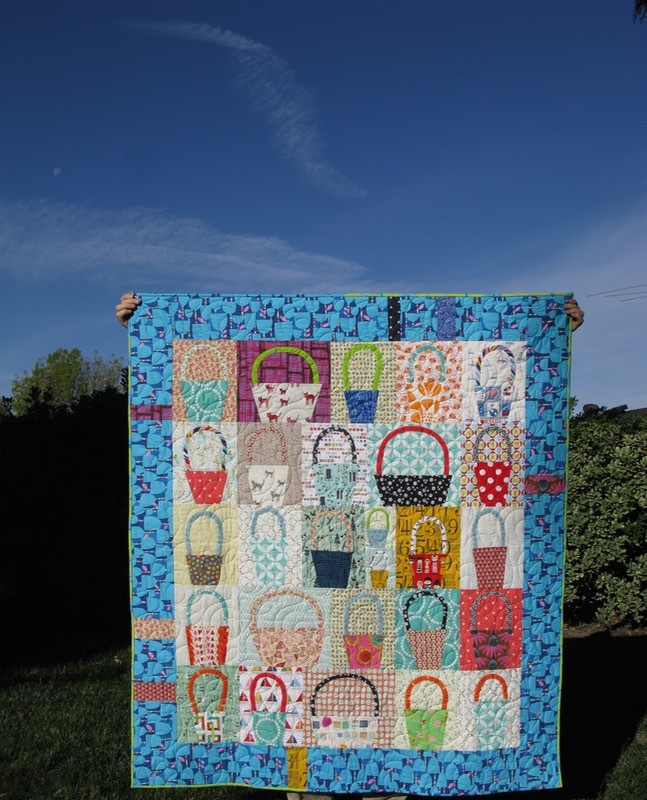 Two Finishes: Baskets and a Halloween Quilt for 2016 | OccasionalPiece--Quilt! 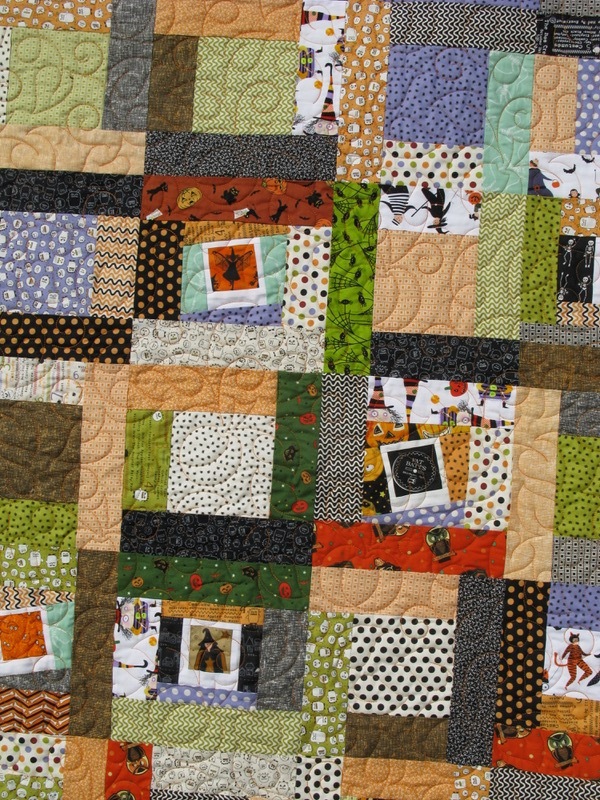 I like your pieced backing on the Halloween quilt. Happy for you to see these finishes in 2015! I like the polaroid quilt, and I’m not even a Halloween fan. 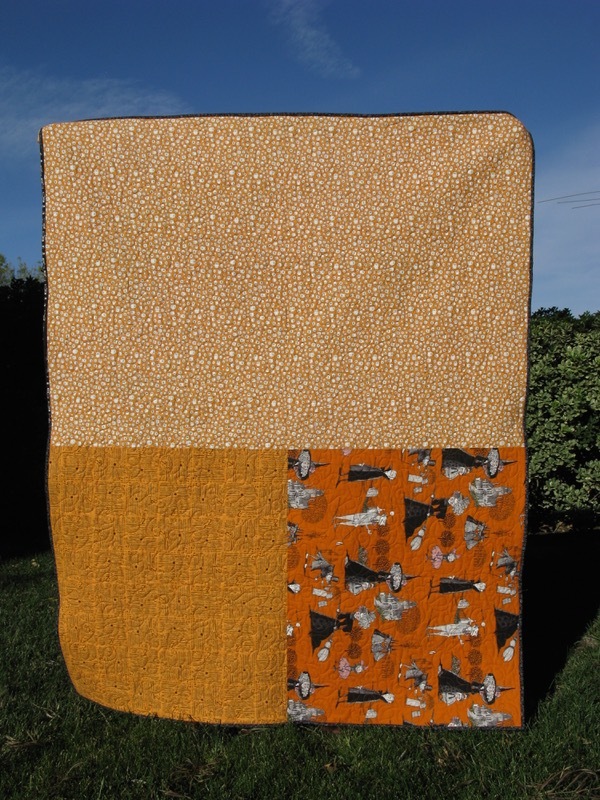 It’s interesting that you number your quilts. Do you count them only if they’re larger than a particular size? Or does a mug rug count in your tally? Just curious. 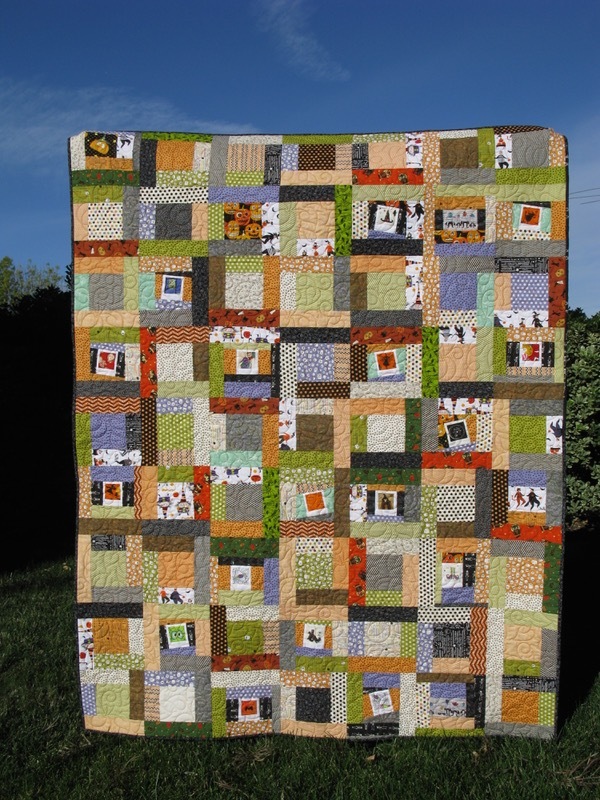 I wish I’d tracked my quilts from the beginning. I tried to catch up on the list, putting them into an Excel spreadsheet after 20 years of quilting, and I know I missed a lot of them. I never tracked all the quilts I donated. 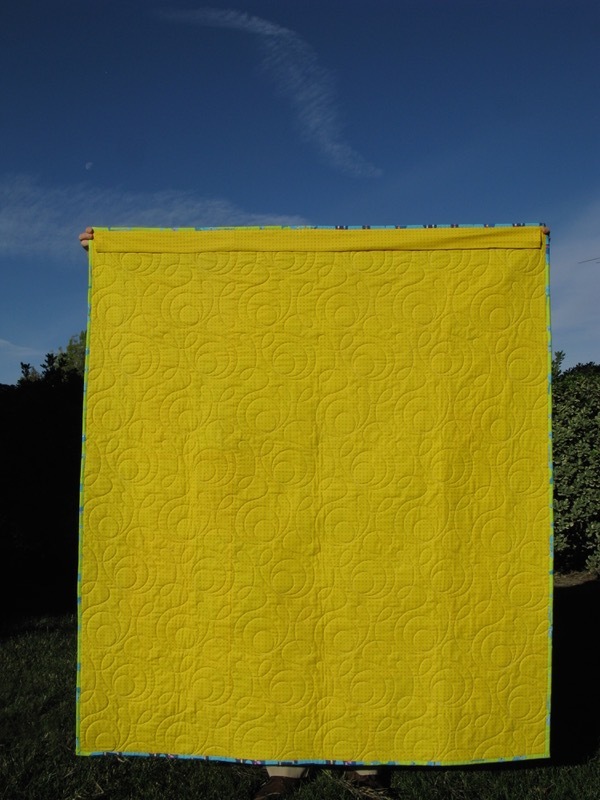 And I moved to Florida with 116 quilts! Haven’t counted again since then. 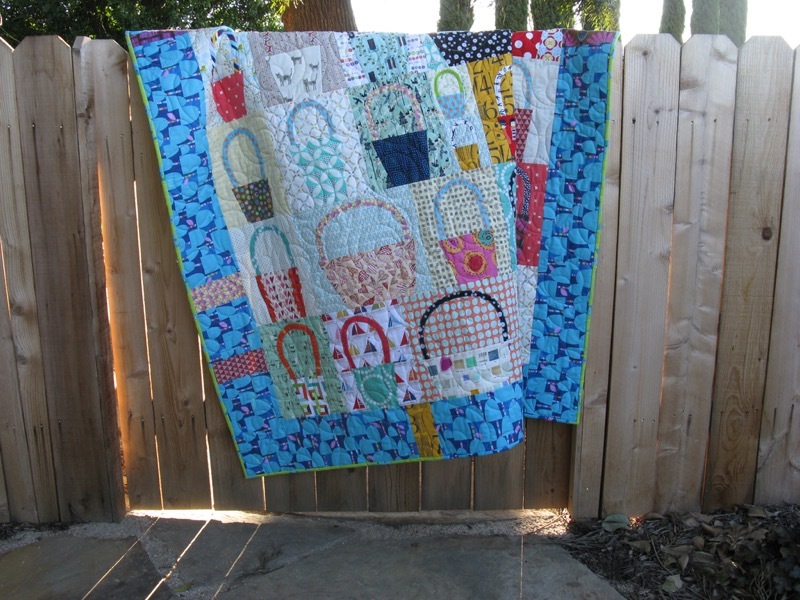 Maybe there’s really no reason to… I’m sure my kids will give away all the quilts they find in my house after I pass. Keep on keeping’ on! I hope you’re feeling more energetic these days. I love the Halloween quilt and like your reader above, I’m not necessarily a Halloween fan though certain Halloween projects capture my interest like my “FLY” wallhanging I did in October. I feel that you are definitely EARLY with your projects, both Halloween and Spring Baskets. Love their names and feel illiterate when you discuss your titles; poetry and I never really meshed and I blame it on my college profs. Sometimes deadlines work for me, but other times I find them easy to ignore–the “fake” deadlines that I create for myself, that is. Real deadlines are another matter. Even then I can let a challenge or show go by rather than push. Other times I can push till the wee hours of the morning. Motivation is a funny thing. Meanwhile, I enjoyed both quilts and the poetic reflections that go with them. Love the baskets, Elizabeth. 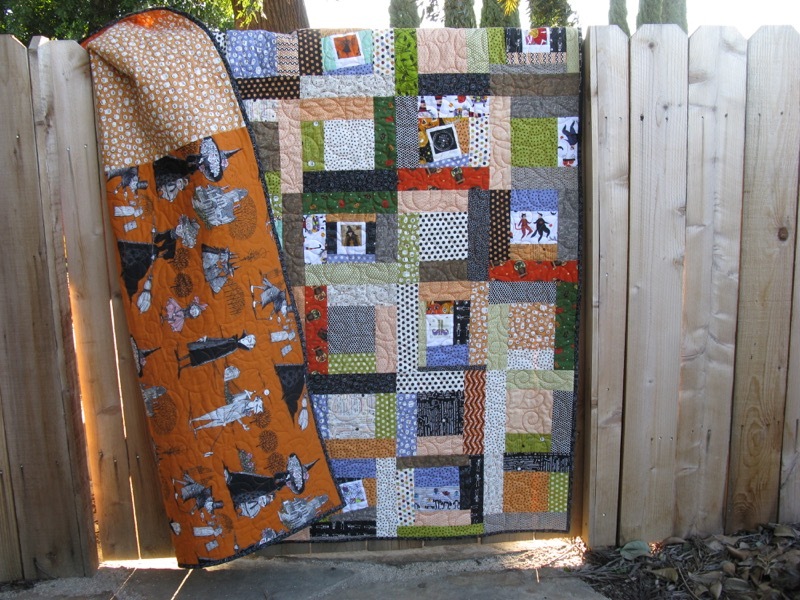 The Halloween quilt turned out so cute too. You seem to be on a roll, making up for lost time over the Summer! Always so interesting to read your posts! I feel quite educated after them! Love the Halloween one with its green and orange palette. And the baskets are just so cute! Two great finishes!